Now that the major holidays are over, there are only a few more breaks before school is out for the summer. Depending on where you live, a Spring break may be headed your way. It’s important that parents and guardians provide ideas and encouragement when it comes to certain activities that children can do during their time off from school. Here are some suggestions for the upcoming spring break. If you have the opportunity, traveling somewhere new can help broaden your child’s perception and understanding of the world around them. Visit a part of the country you’ve never seen or look for something new to do if you’re visiting a family favorite location. Traveling in general can be incredibly beneficial for children, especially when they are young. 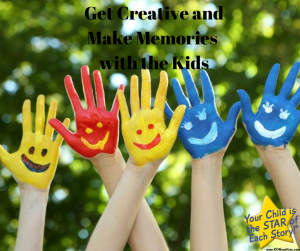 Exposing them to different places, people, cultures, climates, and other activities can help encourage their creativity as well as their ability to connect with different people, too. Children’s museums are a great option that can help entertain the whole family while teaching you all a little something new, too. Museums geared towards children, or museums that offer special children’s tours, can help make learning fun and more interactive, while also providing a unique experience. Even if you can’t afford an extravagant vacation, day trips are also a great option. Consider taking the kids to a nearby metropolitan area, museums as mentioned, looking for historic landmarks or even visiting any nearby National Parks or forests if the weather permits outdoor activities. Pick up a new skill, take a class, or even volunteer. If you’re staying indoors then you may be thinking of other activities that are both wholesome and exciting to keep your child occupied. Reading is a great way for kids to experience new things without necessarily having to go anywhere. The act of reading can help bolster cognitive function, abstract understanding, and communication skills while also helping your child develop other key skills that will help them academically. Reading can also help introduce your child to new ideas, expanding their imagination and their ability to empathize with others. Choose a book series you can explore during the break or consider some personalized books, from our website, that provides kids with a uniquely personal experience that they may not be able to experience otherwise if a trip or vacation is out of the question. 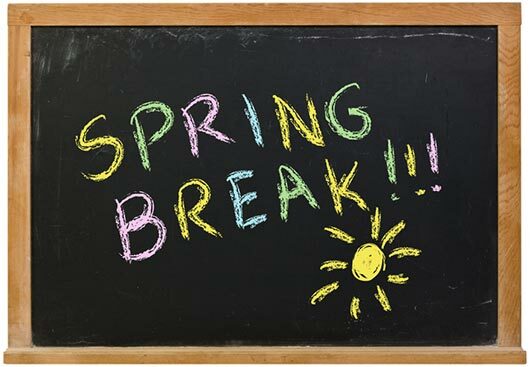 Plus, plenty of libraries offer kid-centric activities year-round but especially during school breaks to help keep kids active or to help parents who may still have to work during the spring-break recess. Aside from exploring and discovering new stories and adventures through books, you can create some, too by getting creative with arts and crafts! Create a family adventure and write it down, complete with illustrations and scenes that you can act out together. However, no matter what, family time should take priority during breaks like these, even if parents or guardians still have to work during the day. Make time to prep dinner together, creating lifelong memories. Making a point of eating dinner together is important for families no matter what time of the year or day of the week it is, but you can make the occasion extra special over the break by preparing a well-loved family meal, trying something new, or making a project out of it. It’s also important not to underestimate the power of family movie night. There are hundreds of family friendly movies on subscription channels like Netflix or Hulu that you can tune into from the comfort of your own home, and plenty of family friendly and kid movies are released in the early spring as well. Make a small outing, get some snacks and hit the theater! Local libraries and community centers sometimes host movie nights or other events for kids and families to partake in, so those are worthy of considering as well. A break from school may seem like a small vacation to some, but if you plan accordingly and explore your options, you and your kids can make the most of it before school is back in session!